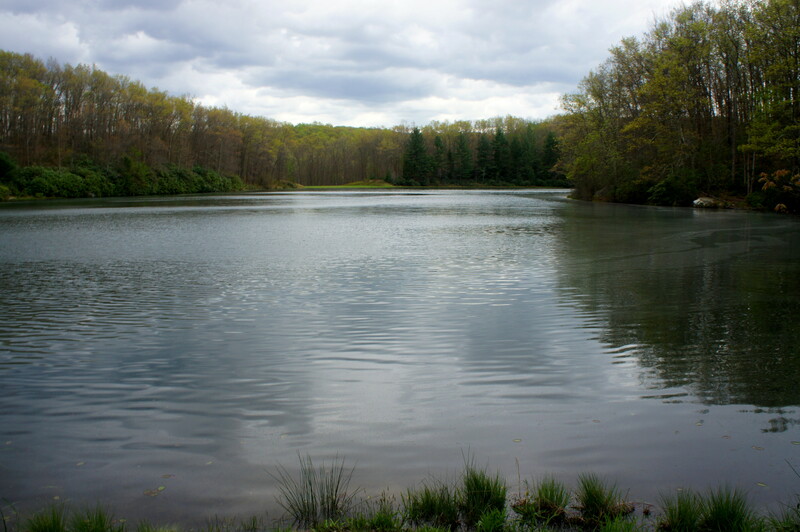 It seems like every state park in America has a man-made reservoir, and Babcock State Park in south-central West Virginia is no exception. 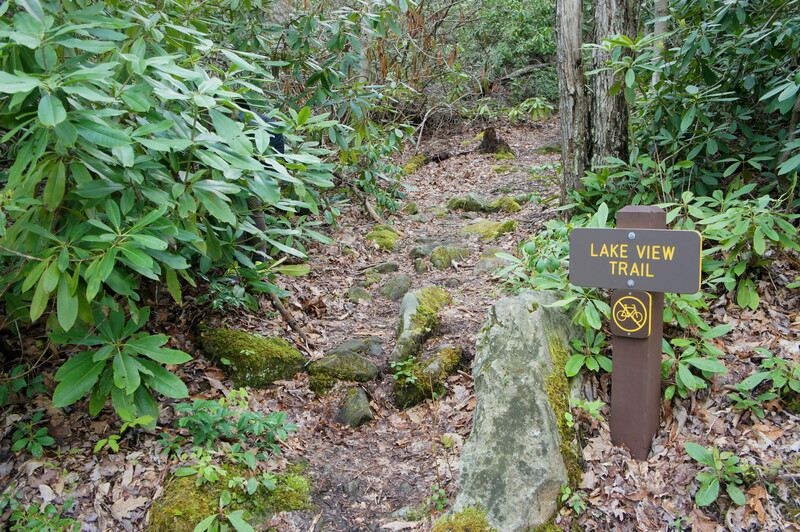 After checking out the area’s historic grist mill, beautiful waterfalls, and sweeping views, finish off your day with an easy-to-moderate loop hike around Boley Lake, stocked with trout between February and May and lined with a nice variety of flora, including the area’s famous rhododendrons. 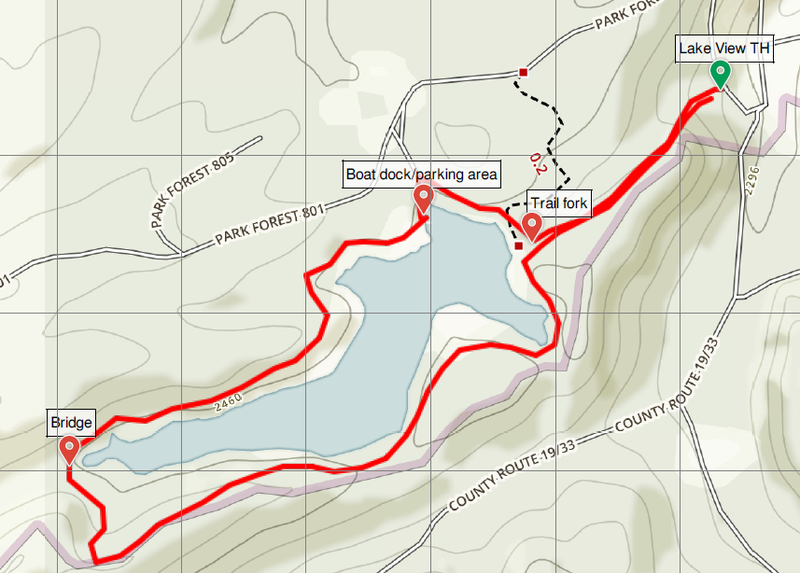 Park at the boat dock off Park Forest Road 801 to complete the 1.2-mile circuit around the reservoir, or trek an extra 1/3 mile each way on the Lake View Trail from the Park Office. For the longer version, park at the Park Office—situated on the banks of Glade Creek—and cross the bridge, passing the Glade Creek Grist Mill on the right. Take a left at the intersection, then another left onto the paved road heading uphill and away from the creek. Look for a sign on the left indicating the start of the Lake View Trail. 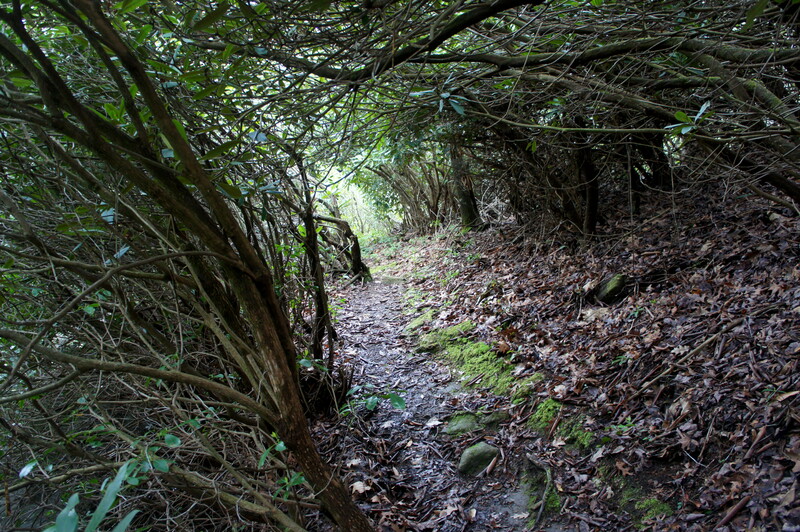 The hike immediately climbs into a grove of rhododendrons, following orange blazes through the leafy ravine. The 1/3-mile ascent to Boley Lake gains roughly 100 feet in elevation, making this the toughest—and rockiest—section of the walk. After a few minutes, the trail crosses a small bridge over Camp No. 15 Branch, carrying rushing waters obscured by dense thicket. After about 10-15 minutes, the trail suddenly leaves the woods behind, climbing a grassy hillside to the banks of Boley Lake. 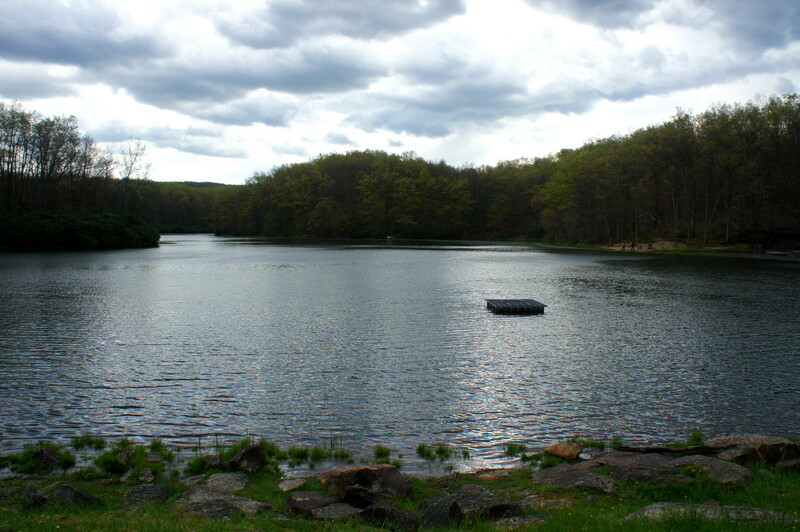 Except maybe during the busy summer months, Boley Lake is quiet and serene. Trees of diverse color line the reservoir in spring and fall, while dense thickets of rhododendrons adorn the left bank. Head either left or right once reaching the lake—this description takes the latter option, circumnavigating the lake in a counterclockwise direction. 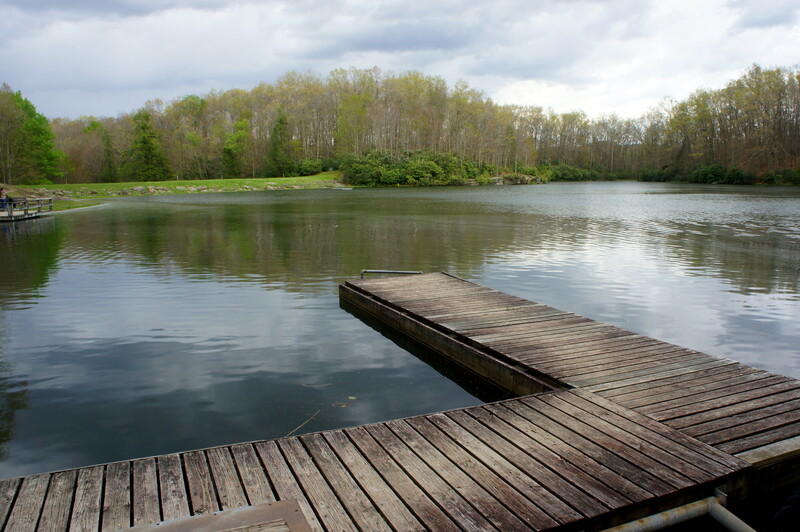 From here the trail skirts a rock slope and then winds gently around a minor inlet to the boat dock, where it is possible to rent rowboats and paddle boats in the summer. Beyond, a network of trails head in a few different directions—while technically the Lake View Trail climbs a minor slope away from the water, a well-trodden social trail follows the lake’s banks. Eventually, the two routes merge again—follow the orange blazes as the singletrack bears southwest along the reservoir’s north flank. Make your way along the mostly flat trail—past a mildly rocky section and through a patch of rhododendrons—to the far side bridge over Camp No. 15 Branch, situated around 9/10 mile from the start. Shortly thereafter, the trail leaves the lake’s edge to clear a massive lakeside boulder and climbs sharply uphill, though only for a fleeting moment. 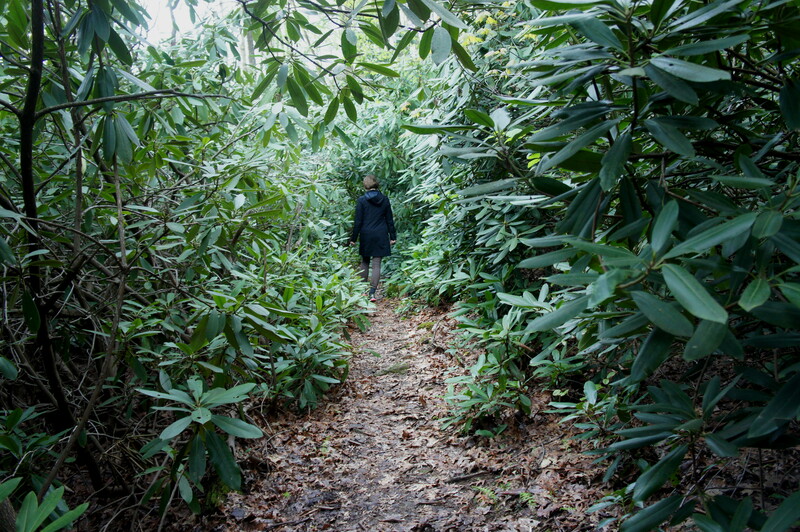 Maintaining some distance from Boley Lake, the Lake View Trail drops down into a minor ravine, then runs through more rhododendrons, tangled undergrowth, and some uplands—as well as a group of Virginia pines. At about 1.4 miles, the trail works its way back to the edge of the lake at the end of another minor inlet. From here, it’s a short walk back to end of the loop, reconnecting with the spur trail heading back toward the Park Office. Take a left here, retracing your steps for 1/3 mile back to the trailhead and, a few minutes later, the Grist Mill and park headquarters. Allot at least an hour for this stem-and-loop hike, maybe in the evening—a nice complement to a longer and more strenuous hike in Babcock State Park in the morning. This entry was posted in Babcock State Park, Moderate Hikes, West Virginia and tagged Babcock State Park, Camp No. 15 Branch, lake, Lake View Trail, loop hike, rhododendrons, West Virginia. Bookmark the permalink.